At BrainTrust, we never underestimate the importance of fundamentals, whether it be a "regular" math question or "grid ins." We teach basic formulas to deal with both types of questions, as they are merely different formats to approach the same conceptual strategies. As there is a higher percentage of questions focusing upon Algebra and Plane Geometry, we generally cover these topics in the earlier tutoring sessions.
" Thank you. (Student) really liked (tutor) and feels that he improved! They got along great. " The new SAT I exam covers topics typically given in Algebra II classes received over a three-year period of North Carolina high school math. 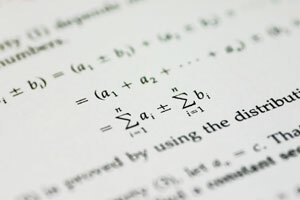 Among the topics tested are absolute value, rational algebraic expressions, radical equations, integers and rational exponents, direct and inverse variation, mathematical models of real life situations using graphs or equations, linear functions graphs of quadratic functions and geometric probability. Quantitative comparison questions have been removed. The BrainTrust ACT and SAT Math Test Preparation program matches each test-taker with a uniquely qualified test prep tutor. 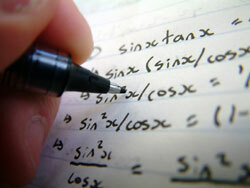 Our ACT and SAT Math tutors have a recent history of having scored in the top 10 percentile of all math test-takers. During our initial visit and evaluation, we will assess the student's strengths and areas of weakness through diagnostic testing. The tutor will then customize a strategy based upon the results of the diagnostic exams. The student will learn specific techniques for approaching each type of question, critical time management skills and strategies for how and when to guess. We can solidify, by way of accompanying charts and sample questions, your student's mastery of the keys terms and solutions. We usually start by focusing upon areas the student seems to find especially challenging or difficult, and proceed from there. We will provide a number of sample exam questions based upon those normally given year after year, in an effort to avoid any surprises. Then we help identify the student's weak areas and try to turn them into strengths, which will help promote confidence on the day of the exam and enhance the student's opportunity to return a high score. Our students know we want them to do well. We place emphasis on weak areas, at least until basic concepts are easily understood. We cannot assume the student knows the fundamentals; we will ensure the student has working knowledge first. We have students approach problems independently, and only after fundamentals are fully grasped. We employ speeds and methods most likely to match the student's learning style. We encourage a true collaboration. With your BrainTrust tutor's support, you and your child can approach the math portion of the ACT and SAT exams with confidence, knowing that he or she is fully prepared with all the techniques, strategies and skills necessary to do well. Contact BrainTrust today to discover how our unique approach can help maximize your child's Math test prep scores.